Today was Day #4 of Chocolate and Cinnamon Theme Week. Mars M and M's have been appearing in special flavors in recent years. 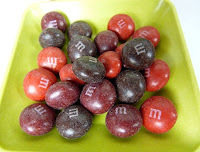 Some flavors debut and then disappear -- such as these Cinnamon M and M's ("made with real milk chocolate"). 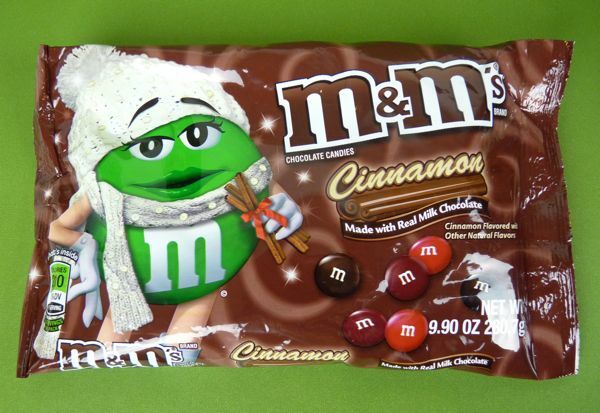 The Cinnamon flavor made an appearance this past winter, and I haven't seen them since. Fortunately, I bought a bag before they disappeared. Despite the added lactose and some artificial ingredients that I could do without, these crunchy classics with a twist had just about the right amount of cinnamon flavor.